The first confirmed case of the Zika virus occurred in the Dominican Republic in early June 2015. Neighboring countries are in alert. The Zika virus is a flavivirus related to yellow fever, dengue, west Nile and Japanese encephalitis. It is spread through mosquito bites and was discovered in the 1940’s in Africa. Zika virus symptoms are similar to Dengue and Chikungungna, though according to experts doesn’t have the potential lethality as the Dengue virus. The most common symptoms are fever, rash usually starting on the face and then spreads throughout the body, joint pain (mainly smaller joints of the hand and feet) and conjunctivitis. Treatment is symptomatic or supportive based on the signs produced by the blood invasion of the virus. Corticosteroids and aspirin are not recommended. A patient should see a doctor. 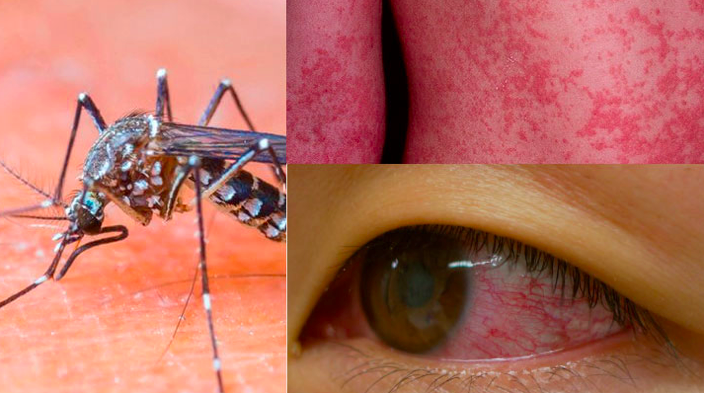 The virus can stay in the blood for a week and through the mosquito bite of this person the virus can be transmitted to others in the same room.